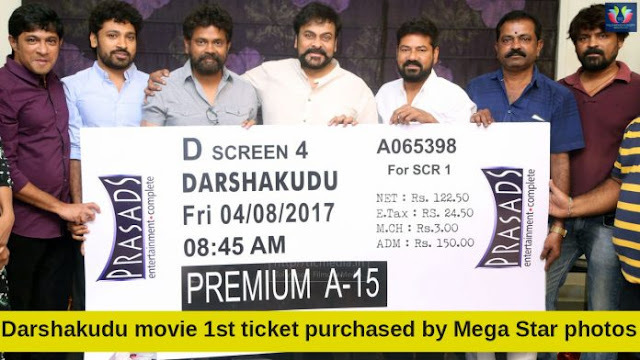 Director Sukumar is roping in all the big stars to promote his ‘Darshakudu’ second production of Sukumar writings.The first ticket of ‘Darshakudu‘ was Purchased by none other than Megastar Chiranjeevi and He wished the team good luck. Megastar promised to watch the movie on the first day. ‘Darshakudu’ starring Ashok and Eesha as the lead pair tells the love story of a movie director. Directed by Hariprasad Jakka, the movie has generated strong buzz.NTR Jr, Ram Charan, and Allu Arjun have already done promotions for the movie.